The novel opens in England in 1915, at the deathbed of Dorothy Townsend, a suffragist and one of the first women to integrate Cambridge University. Her decision to starve herself for the cause informs and echoes in the later, overlapping narratives of her descendants. Among them are her daughter Evie, who becomes a professor of chemistry at Barnard College in the middle of the century and never marries, and her granddaughter Dorothy Townsend Barrett, who focuses her grief over the loss of her son by repeatedly defying the ban on photographing the bodies of dead soldiers returned to Dover Air Force base from Iraq. The contemporary chapters chronicle Dorothy Barrett's girls, both young professionals embarrassed by their mother's activism and baffled when she leaves their father after fifty years of marriage. 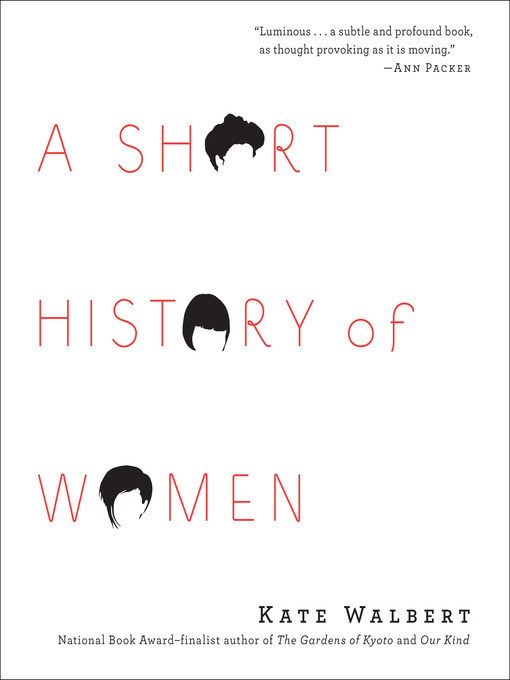 Walbert deftly explores the ways in which successive generations of women have attempted to articulate what the nineteenth century called "the woman question." Her novel is a moving reflection on the tides of history, and how the lives of our great-grandmothers resonate in our own.